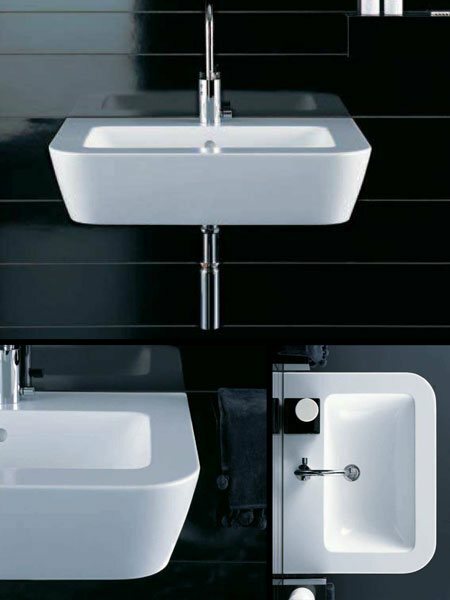 Top Italian bathroom design with clean cut minimalist styling, this wall hung sink is a luxury addition to any bathroom design. The shown bathroom monobloc mixer tap is not available but similar ones are available in our tap section. * Available with 3 taps holes only.